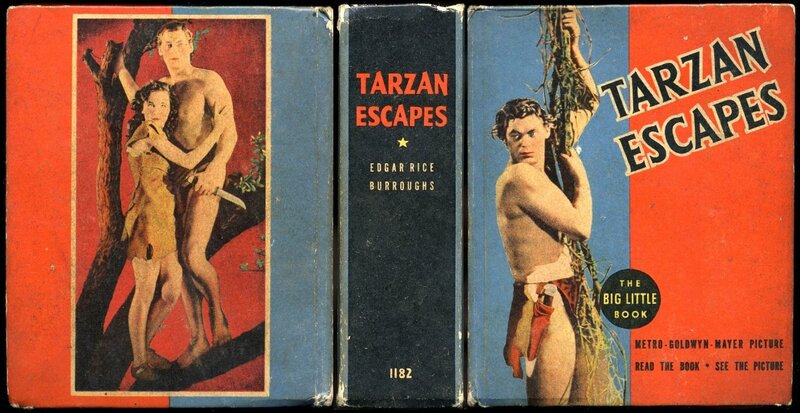 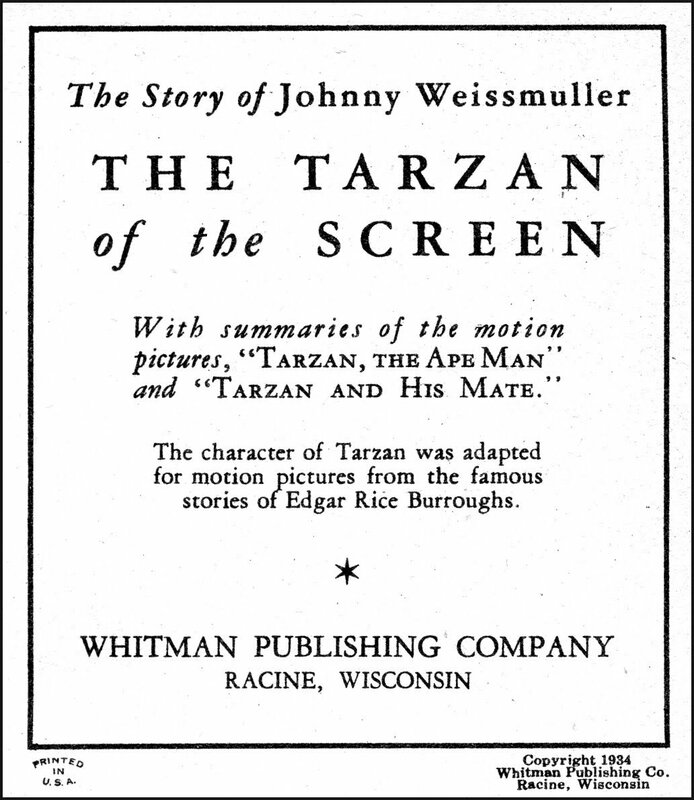 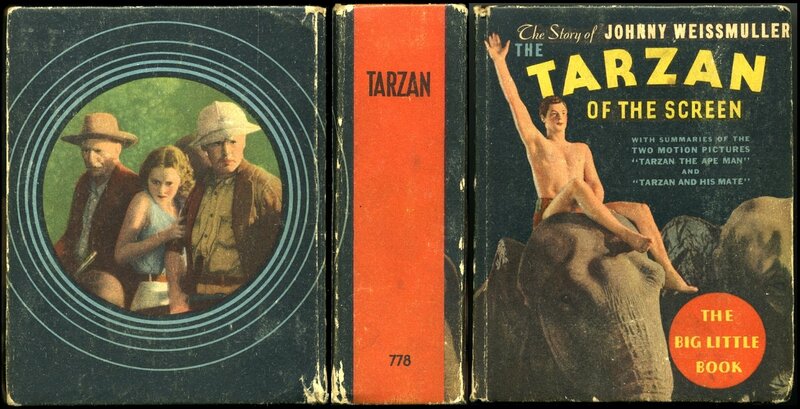 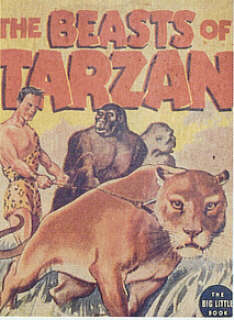 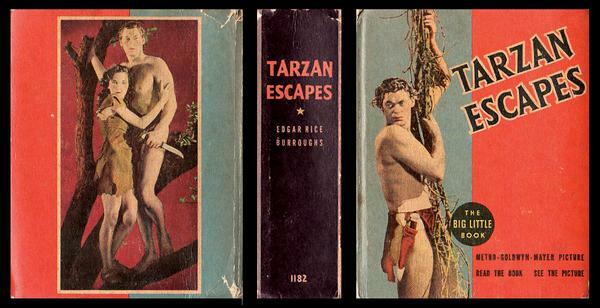 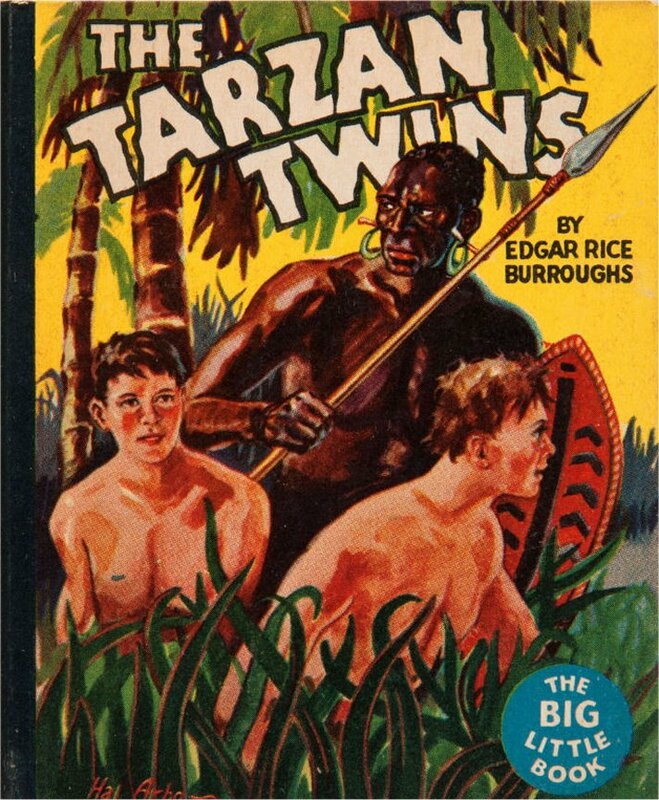 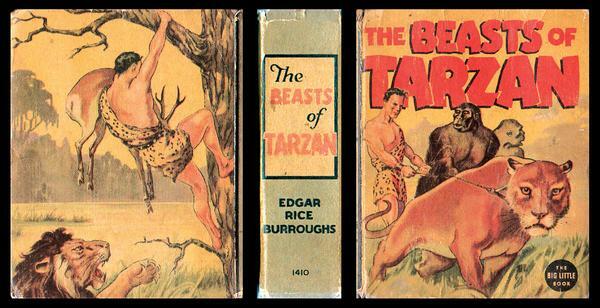 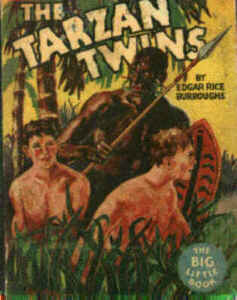 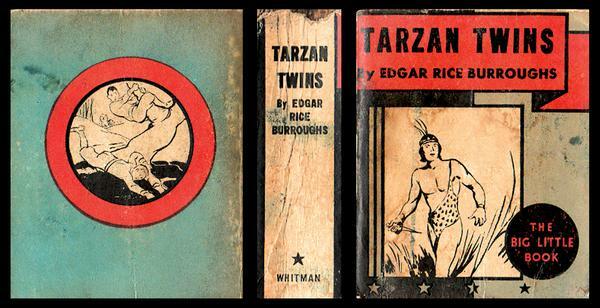 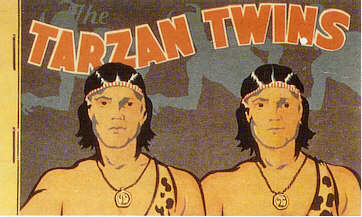 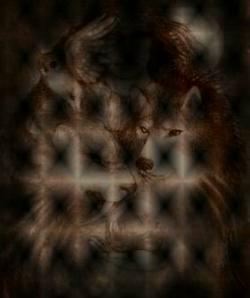 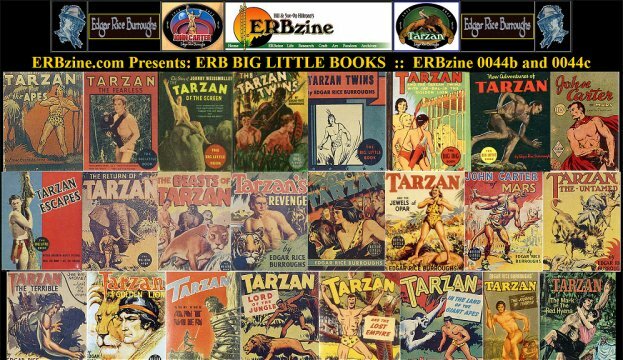 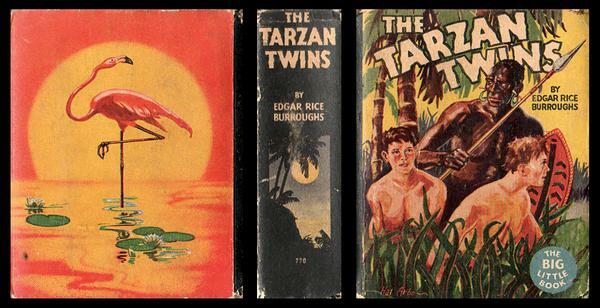 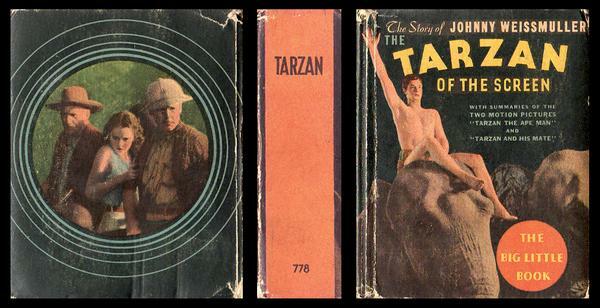 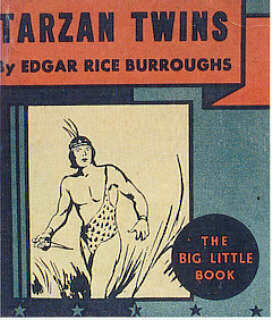 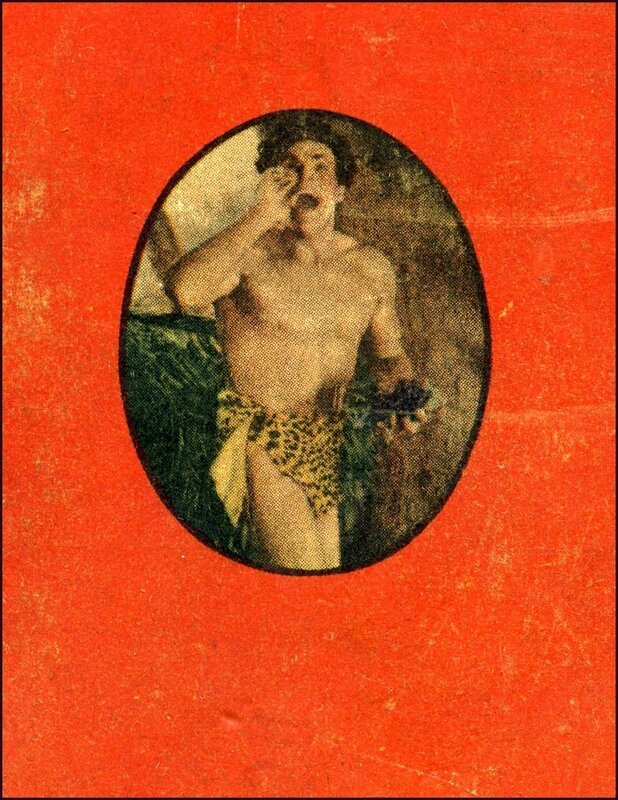 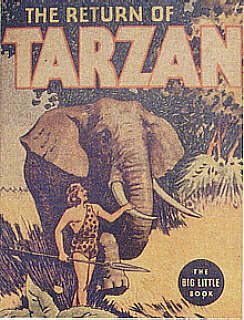 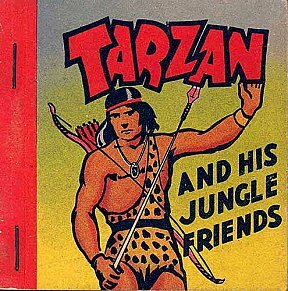 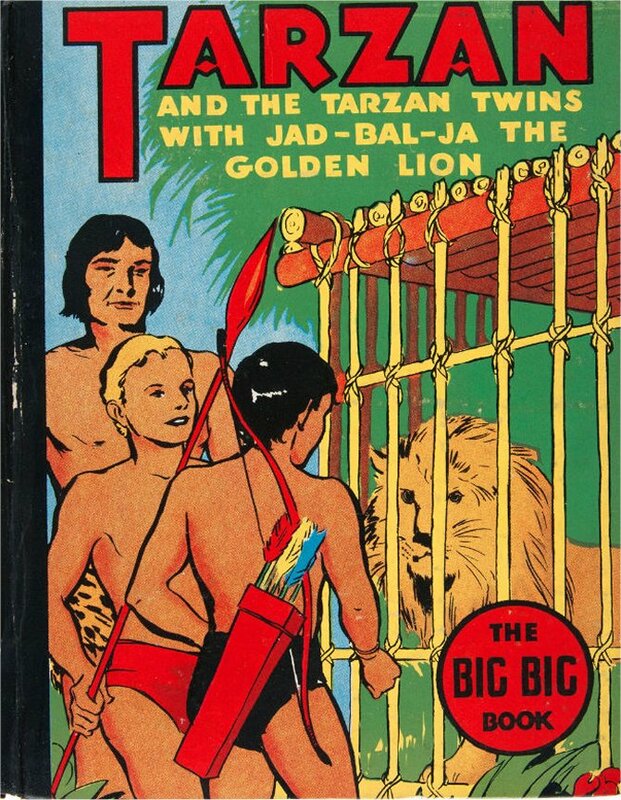 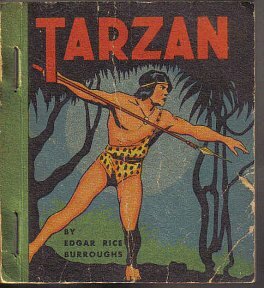 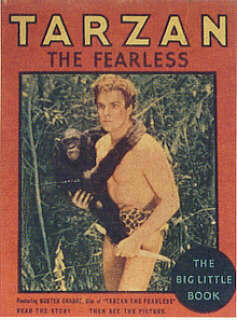 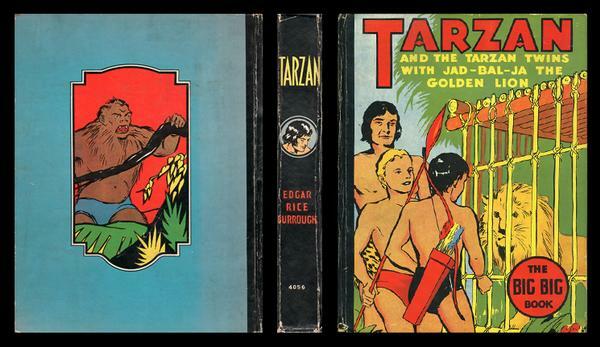 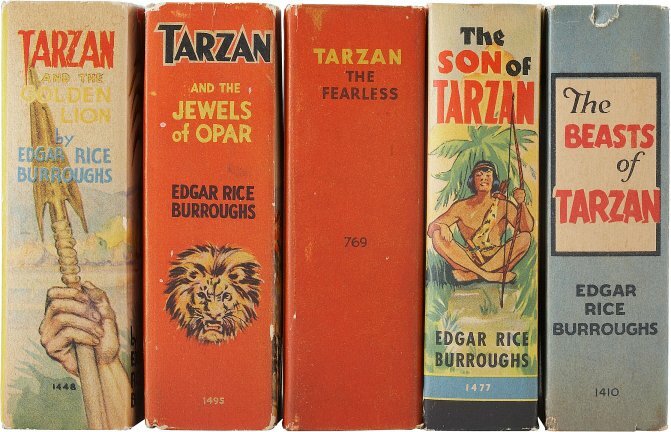 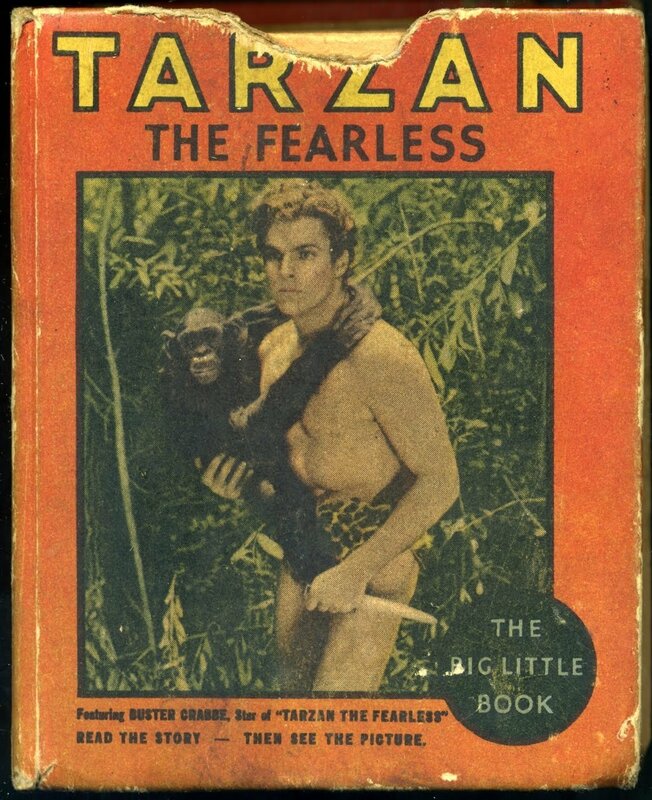 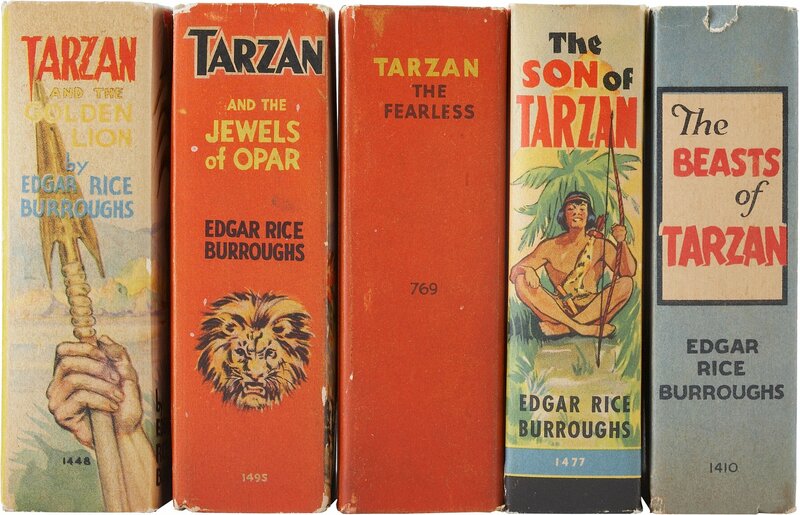 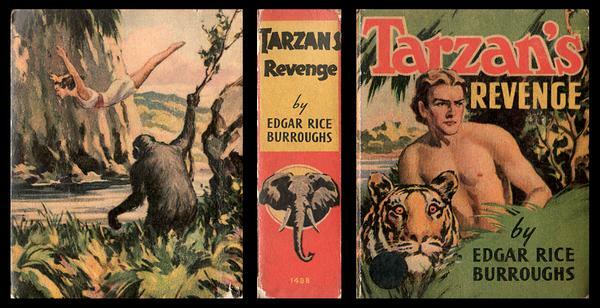 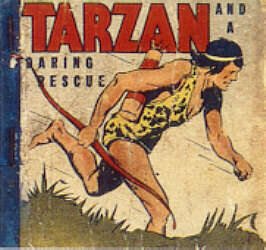 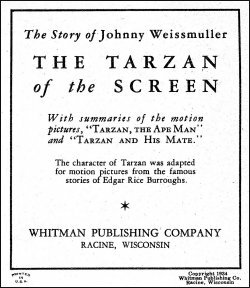 The Tarzan Twins - 1935 ~ 48-page give-away. 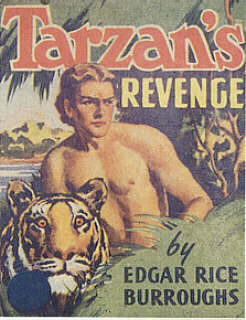 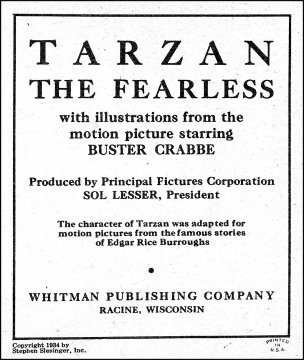 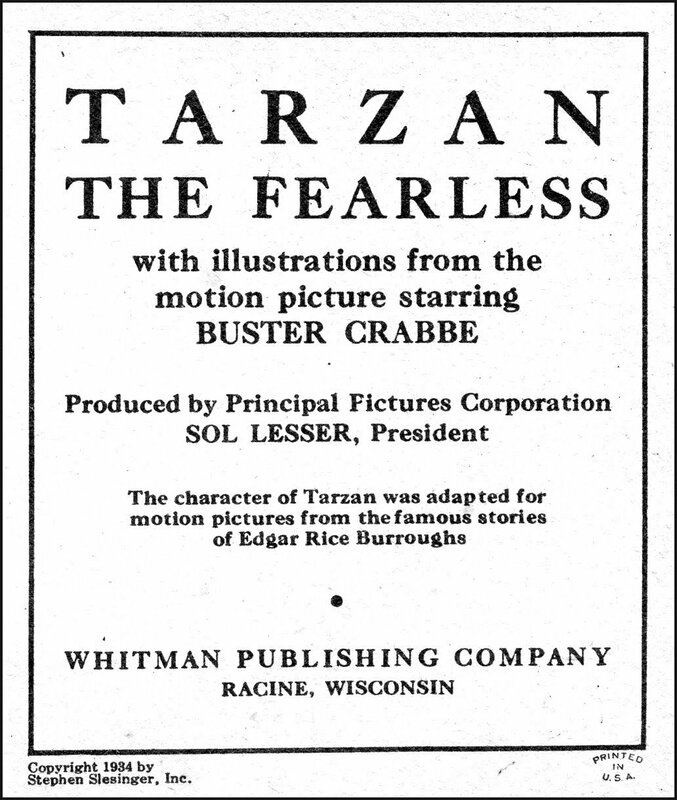 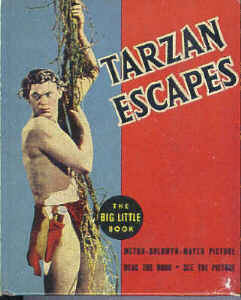 Follows original script "The Capture of Tarzan." 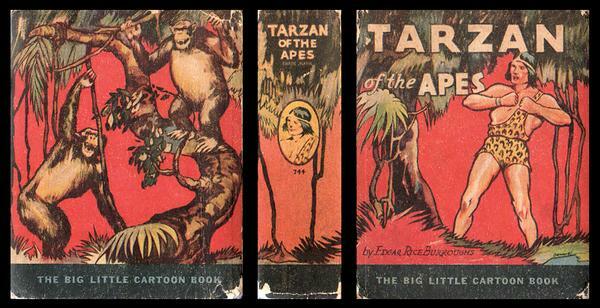 209 Rex Maxon interiors from the 1929 strip. 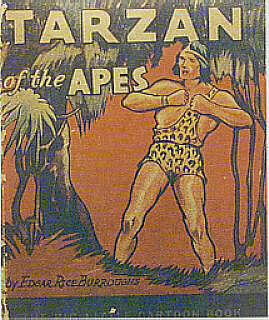 Cover and 36 interiors by Juanita Bennett. 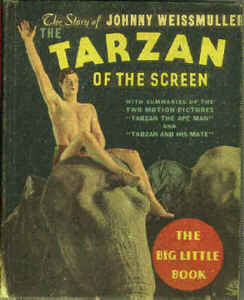 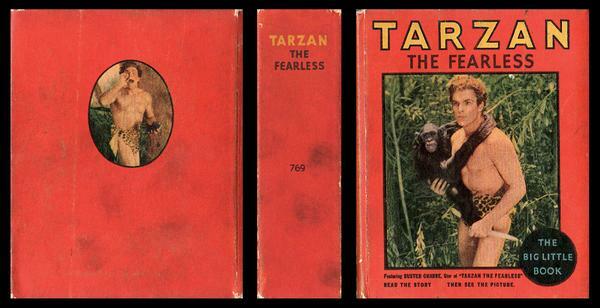 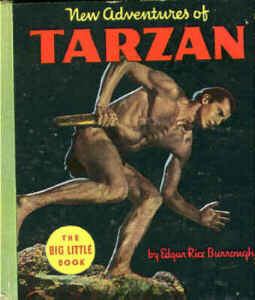 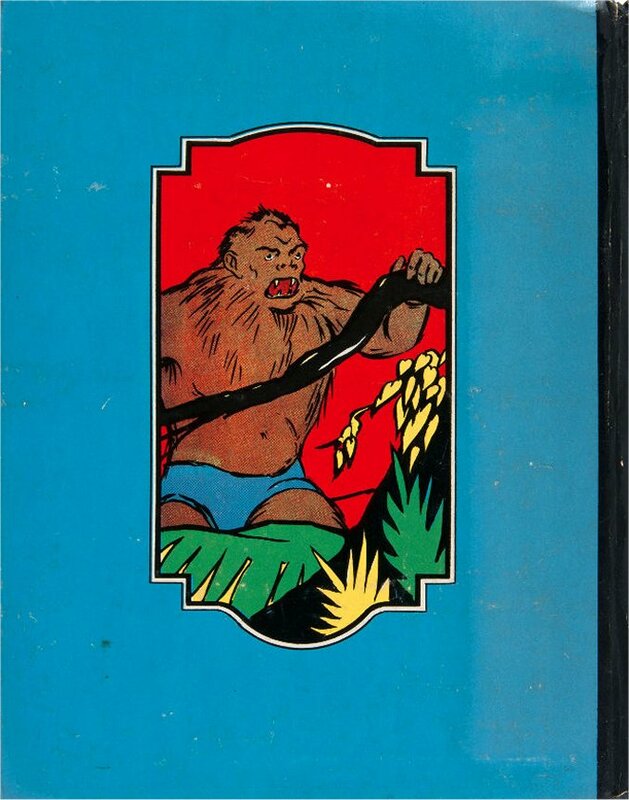 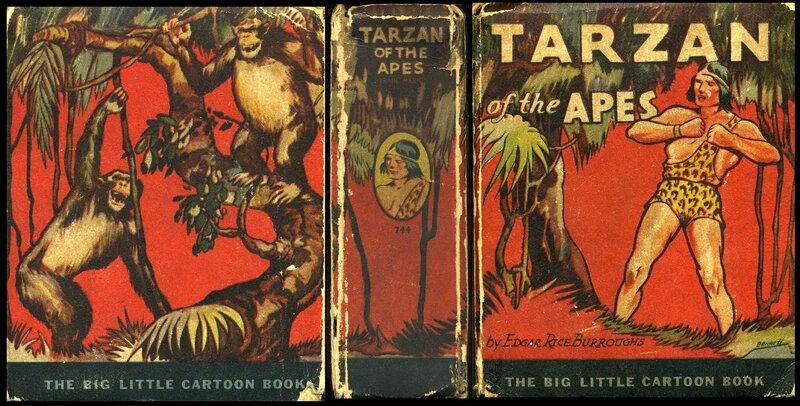 Tarzan of the Apes Big Little Book. 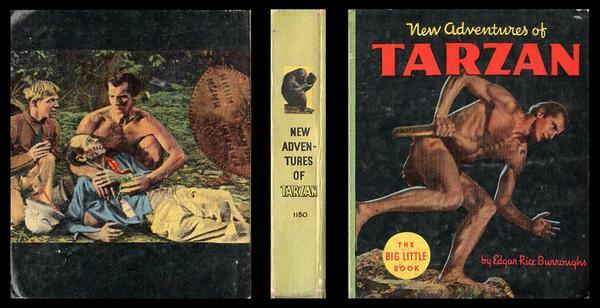 Odd-sized (3" x 3") Tarzan Cup ice-cream give-away . 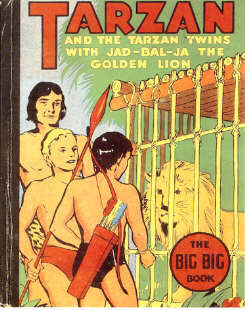 with Glenn Morris and Eleanor Holm. 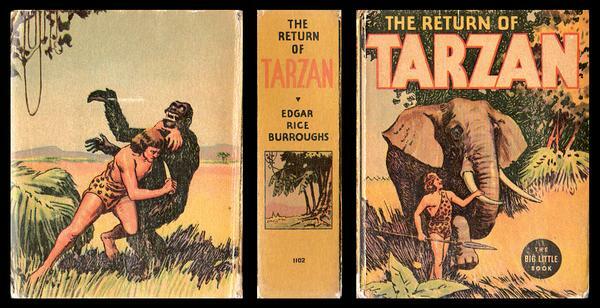 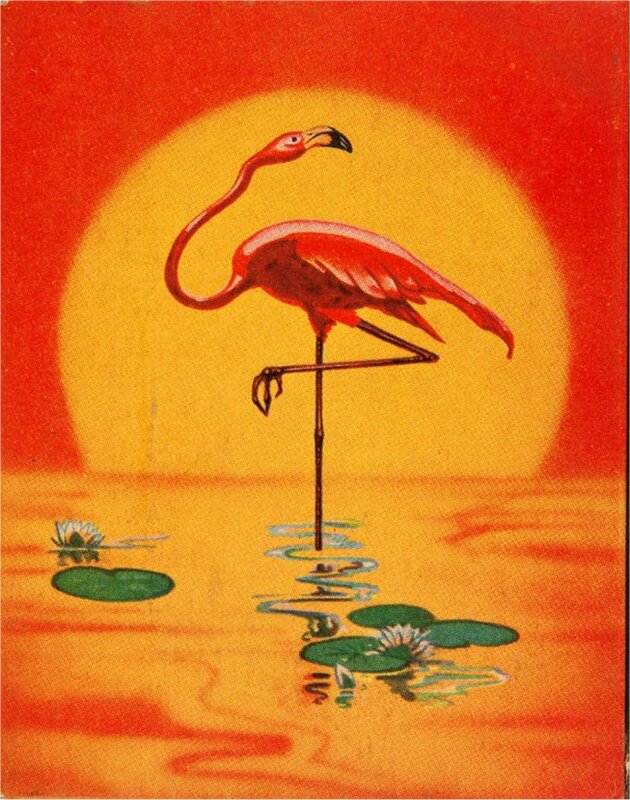 The circle is omitted in reprintings.